OUR PRICE: $33.92 - Join Rewards Get $3 Dance Dollars On This Item! Bloch's split-sole "Super Jazz" shoe features the popular laceless styling and distinguished Bloch fit. Made with soft, durable leather with rubber forefoot and heel. I had borrowed my friend's jazz shoes for show bc I had left mine at home. They fitted so perfectly loveeee them, so I had to get them for myself!! Great for class and practice! I recently decided to get back into dance for fun and fitness purposes and decided to purchase these shoes. I've always worn Bloch jazz shoes and they've always held up nicely, even in my competition days. These seem to be no exception. They're a great fit and hug the foot nicely without being too tight. I would say these run somewhere between true to size and a tiny bit large, but in my case at least, the difference wasn't noticeable. I have had a tan pair of these shoes for 5+ years and a black pair for 2 years now. 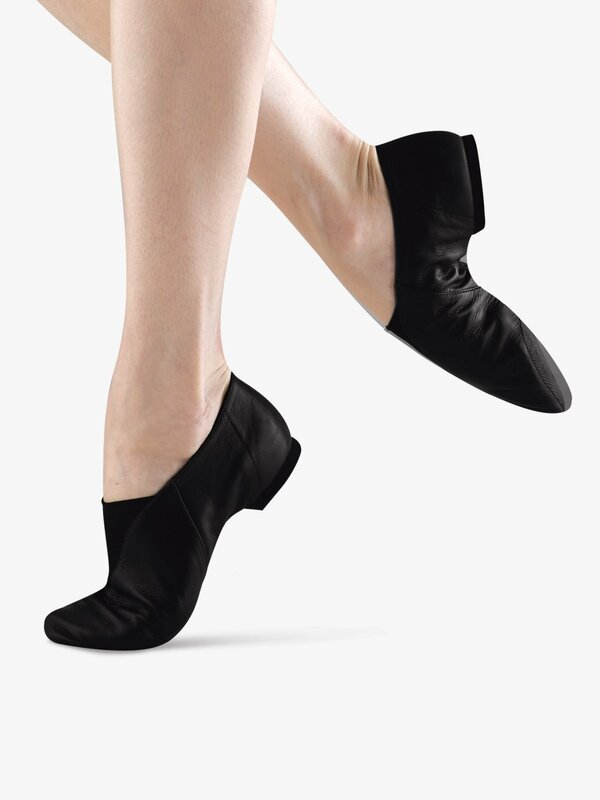 They are great jazz shoes. I am a 8 or 8 1/2 street shoe with narrow ankles and these fit true to street shoe size and don't gap or slip off my heels. Great shoes they hold well, I've had 3 pairs of these each one lasts about a year before the pads completely wear off, I dance a whole lot though sometimes I wear these to lyrical class too and they are the only shoes I wear to practice in at home. 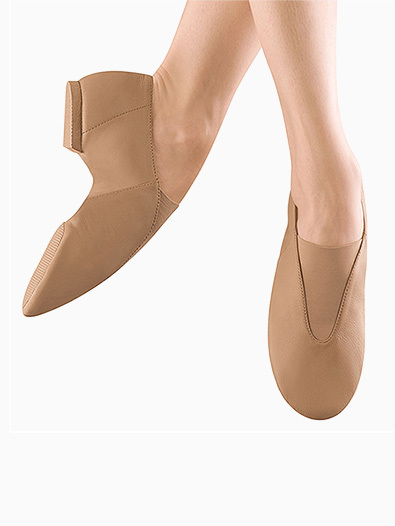 I usually wear a 10 in Bloch jazz ballet shoes, but these were a little too long and roomy. There's no way I could wear them even if I got a smaller length, though, because there is a gap all the way around my ankle. I can see down to the sole when I stand. Maybe I got a faulty pair, but these would definitely twist on my foot if I tried to turn in them.